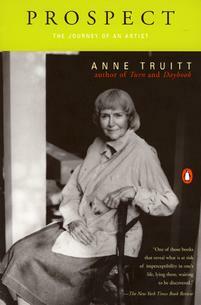 In her widely acclaimed earlier memoirs Daybook and Turn, Anne Truitt charted her life as an artist, mother, and teacher. In Prospect—at age seventy—Truitt looks at the far end of her life's arc and feels the urgent need to re-evaluate what she has done. A major retrospective of her sculpture in a New York gallery offers a daunting but exhilarating chance for the work to be considered anew. Meanwhile, a forced retirement from her teaching position leads her to examine her own vulnerability. In lambent and affecting prose, Truitt muses on the mingling of art and life, celebrates the love of family, and envisions the possibilities that the future yet holds.